Thank you for visiting my Milaap Page. 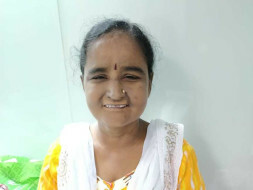 I am Vijay and have setup this page to help fund my sister`s cancer treatment. Unfortunately, my sister Ms. Anuradha has been diagnosed with liver cancer, (HCC — hepatocellular carcinoma). The cancer is becoming aggressive day by day and doctor has advised to go for liver transplant immediately. Unfortunately the cost of the treatment and vaccines far outweighs our financial calculations. As you can see it is an enormous amount of money but the Global Hospital, Chennai offer a more scientific medical treatment plans and one of the best hospitals to get treated. Obviously this means we are going to need to push the fund higher in the hope of securing the treatment plan that the Global Hospital, Chennai. Please please can everyone continue to support, fund raise and donate so we can proceed with this treatment. I realize that I am again asking for help but the only alternative is to give up. Please donate what you can, this is life saving treatment for my sister and her family. Truly appreciate all your support. Thank you for the immense support and love. We have some really unfortunate news to share. As I mentioned she was diagnosed with HCC - Hepatocellular Carcinoma. Her liver transplant was planned in the Global Hospital, Chennai, but we could not get the organ in time. And in the meanwhile the disease had progressed, and she could not make it. Need to withdraw this amount as my sister is 2nd in queue now for getting liver donor. She is going through tests needed for operation. Thank you very much for the support and your generous contribution. Truly appreciate it. 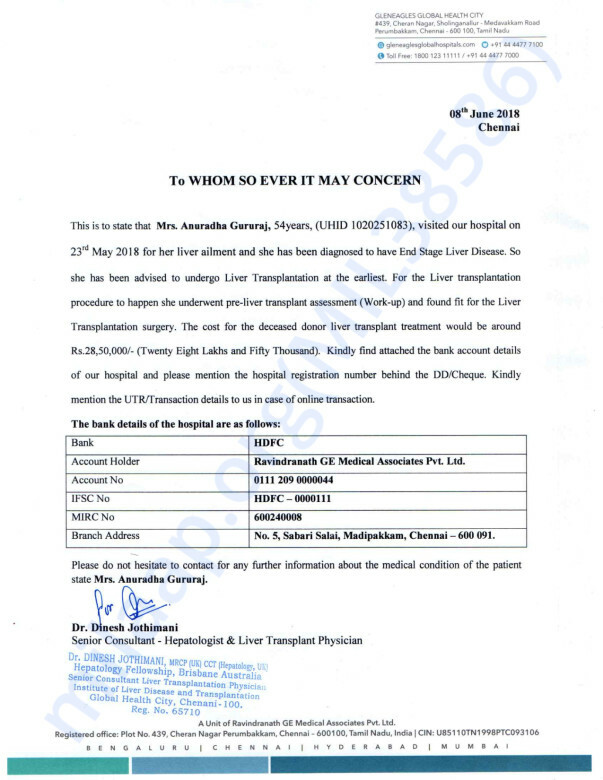 Anu, Wishing you all the best for the liver transplant and may you have a speedy recovery.